The EMV migration has pushed business owners to upgrade their payment solutions and support the new, more secure payment method. 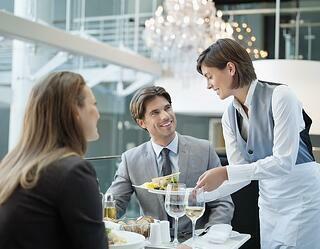 Currently, a typical EMV transaction in the hospitality business works in a fairly routine way. Customers give their credit card to the server, who then dips/inserts the card at an EMV enabled terminal and brings back a receipt for the customer to sign. 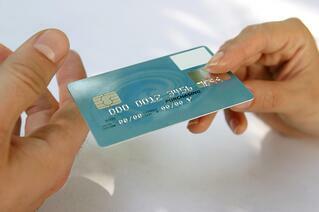 However, in the next two years, many cards issuers will start shipping out chip and PIN cards. This means that for every transaction, the consumer will have to enter a PIN after their credit card has been dipped (similar to a debit card transaction) to authenticate payment. 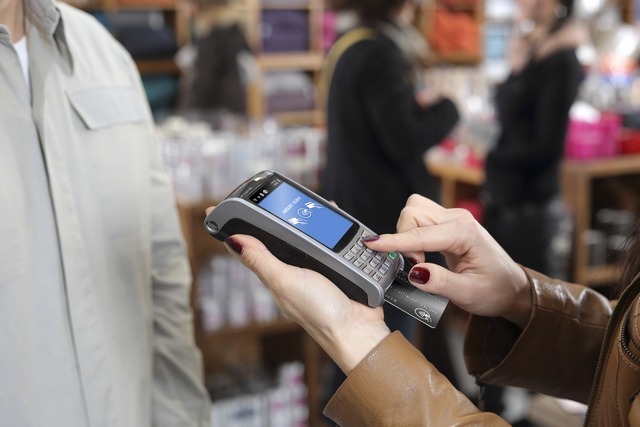 By using wireless payment acceptance solutions, business owners can allow the consumer to pay for goods and services right at point of service. This provides the customer a safer and a convenient way to enter the PIN and pay right from their tables instead of going to the cashier. If you are looking to understand why your business should accept chip cards, read one of our previous blog posts to learn six reasons why merchants should accept EMV cards. In a recent study by MasterCard, 77% of consumers positively discussed digital payment options and also highlighted their preference for not necessarily needing to take their wallet on every trip and being able to pay by using mobile payment when they travel. With the launch of mobile payment solutions such as Apple Pay, Android Pay and Samsung Pay in the US, the landscape of contactless payment has changed. According to a recent article in PYMNTS, Apple Pay adoption has grown from 13.1% in June 2015 to 16.6% in October 2015. With other players in the market, more customers will prefer to pay by this method moving forward. But, how can consumers who want to pay with their phones do this in today’s typical restaurant environment? By handing over their smartphone to the server? I think most would agree that consumers would much prefer the ability to pay right at the point of service instead of having to hand over their phones to the server or going to the cash register themselves. By using a wireless payment acceptance solution, hospitality business owners can provide a much more convenient and comfortable checkout experience to their customers. Improving efficiencies is always top of mind for business owners. 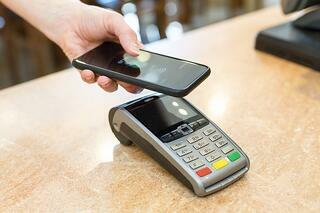 Payment solutions such as pay-at-the-table save restaurant owners a lot of time during the billing process. Instead of the multi-step process of dropping off the check, coming back to pick up the credit card, and dropping off the final receipt for signature, servers can complete this process in a single step by bringing a wireless payment terminal right to the table. Restaurants in the US measure table turns very closely, and a small change can impact the business’ revenue. This solution can also help restaurants improve customer satisfaction as the billing process takes less time and the payment process is more secure.  This enhanced customer satisfaction can potentially generate new and repeat business. Accepting payment at the point of service allows for merchants to have additional face time and interaction with their customers. Servers at a restaurants can spend that extra time to ensure their service is up to par and the customer’s needs are met. This also creates more opportunities to provide recommendations and upsell the customer. This increased customer interaction can yield both a higher final bill value and larger tip amounts. Hospitality is all about making the customer comfortable. In an industry that is viewed as a source of stolen credit card data, it’s important for business owners to make sure their customers view their business favorably. In addition, card holders are being taught never to relinquish possession of their card as a best practice to protect their identity. By bringing payment to the point of service, the business owners can increase the customer’s comfort level as they get to carry out the payment transaction themselves rather than hand their cards to servers. This reinforces the fact that the business cares about protecting the consumer’s sensitive data. This increased security will serve to elevate hospitality brand in the eyes of the consumer, while protecting their business from credit card fraud, which can quickly ruin a business’ reputation. If you are rethinking the checkout experience at your hospitality business, consider the option of bringing payments to the consumer at the point of service. If you are in the restaurant business and need help getting started on this new payment solution, learn more here.